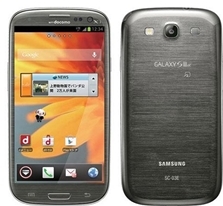 The world is eventful in glancing out the newly announced Smartphone by Samsung, Samsung Galaxy S3 Mini but in Japan Samsung and NTT DoCoMo has launched a fresh Samsung Galaxy S3 Smartphone which is named as “Samsung Galaxy S3 Alpha”. It has been reported that this new Galaxy S3 Alpha will come in the same hardware as in Galaxy Note 2 with different shades of the body. The most prominent specs of Galaxy S3 Alpha are GHz Quad core processor, 2GB Ram and powered by Android OS Jelly Bean 4.1 which makes it the higher version of Galaxy S3 Smartphone series. There are no price details of this new Galaxy S3 have been officially announced, as the more information about this Smartphone will arrive we will be sharing with you .